The jeweled piece begins with a large red coin with a subtle crackling effect. It is surrounded by small hemalyke disks and silver pearl rounds. 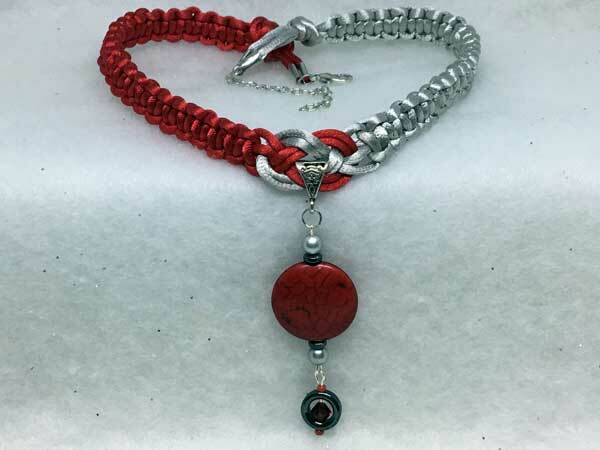 Hanging separately from that, for extra movement and sparkle, is a hematite donut with a ruby red bicone crystal inside. Surrounding this are tiny red seeds.